When Marie takes a job as a maid in Singapore to support her family in the Philippines, she trades one set of hardships for another. Betrayed by her husband, she begins to build a new life for herself. As she gets caught up in the new life she is building in Singapore, she is forced to choose between her personal aspirations and family responsibilities back home. Patrick Daly and Joel Fendelman began working together in 2005 on the feature documentary Needle Through Brick about the degradation of traditional culture in modern Asia that was filmed on location in Malaysian Borneo. The film won the Silver Palm award at the Mexico International Film festival, screened at the Museum of the Moving Image in NYC, and has been seen by over a million people online. They partnered again in 2009 to make the award winning short Daud. Daud screened at festivals around the world and won the Kathryn Tucker Windham Award for storytelling. Building off the success of Daud, they wrote and directed their debut feature narrative David in 2011. David has screened at over 70 festivals worldwide, and won numerous prizes including the prestigious Ecumenical Prize at the Montreal World Film Festival and the Audience Award at the Brooklyn Film festival in 2011. This is not just a Singapore story, but a global story of the commodification of labor, and the exportation of mothers from poor third world countries to first world nations. Singapore is a microcosm of what is happening across the globe – it could be LA, Rome, Dubai, New York, London, etc. 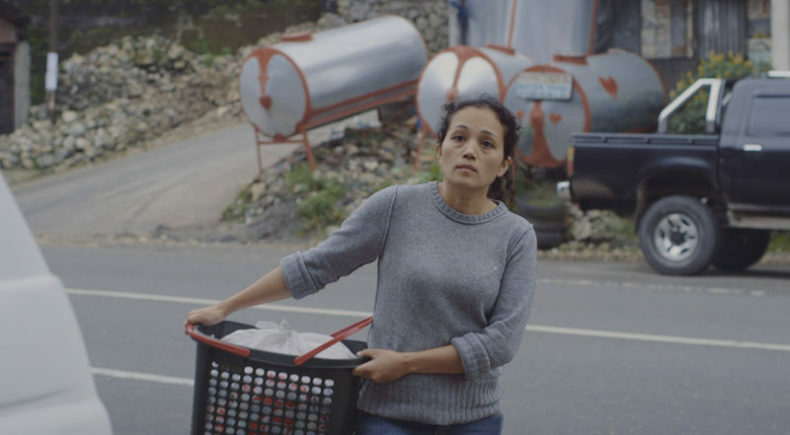 Our aim is not to judge but to use a compelling and human story to problematize the effects of globalization, and in particular to focus on domestic workers as women, not labor. As storytellers we have a very anthropological approach. Our process involves spending time in the various communities, developing relationships that allow for access to worlds not usually shown to outsiders. We are interested in telling the less obvious story and celebrating the drama of everyday life. Writer/Director Joel Fendelman and Producer Frank Hall Green will be available for a Q&A following both the June 7 screening at Windmill Studios and the June 10 screening at Wythe Hotel.